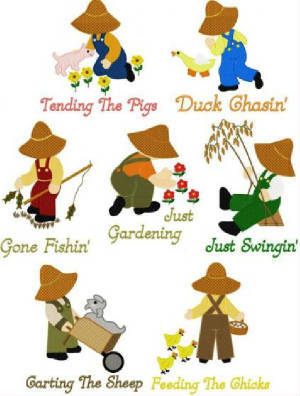 Farmer Brown Sam. You get 7 -10 inch blocks with Sam doing his daily chores . great idea for baby quilt for a boy or add another set for a larger quilt for a toddlers bed. Actual sew out blocks coming soon. $28.00 completed blocks ready to sew into a quilt for that grandson. 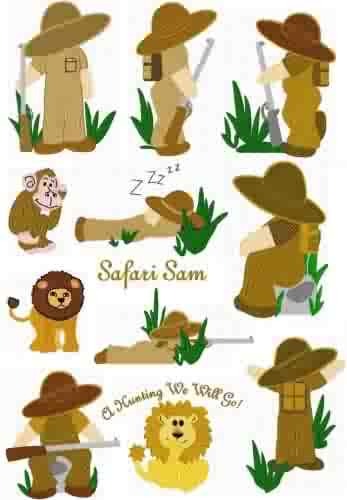 SAFARI SAM, ANOTHER GREAT BLOCKS FOR a BABY BOY OR TODDLER QUILT You get 11 blocks for $44.00. Blocks complete and ready to sew into your favorite little boys quilt. Actual sew out blocks coming soon.